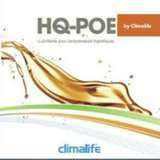 Climalife have now extended their HQ-POE oils range to include three new viscosity grades; 46, 170 and 220 in addition to existing grades 22, 32 and 68. With new updated F-Gas regulations on the way, Climalife already have several Lower GWP solutions available to help the market deal with the changes in the new Regulation that look set to enter into force from 2015. 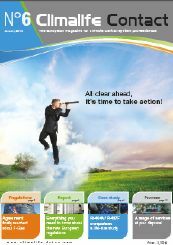 Do you have one of our latest Refrigerant Cards? 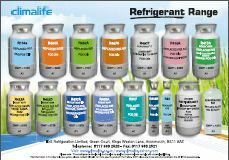 We've updated our Refrigerant Card to reflect the latest range of refrigerants that we offer. All clear ahead, it's time to take action! On 12th March 2014, the new F-Gas regulations were adopted as proposed by 644 votes to 19 with 16 abstentions by the Plenary session of the European Parliament. 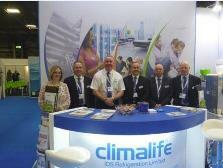 Climalife - keeping cool at this year's ACR Show! Rain, sleet and snow did not put off visitor numbers to the Climalife stand as they battled the elements to come and talk to us at the ACR Show in Birmingham. We would like to thank all our visitors for making the difficult journey and helping to make the show a success for us.